For those of you having near or far destination weddings, out-of-town guests, or just a weekend long party, don't forget that welcome baskets can be a great opportunity to not only carry your wedding theme and color scheme throughout the weekend (its' the Art Director in me, I'm big into branding!) but provides a great opportunity to introduce family and friends to your favorite things and hobbies, local flavors and attractions or the particular importance of the destination of your big event! 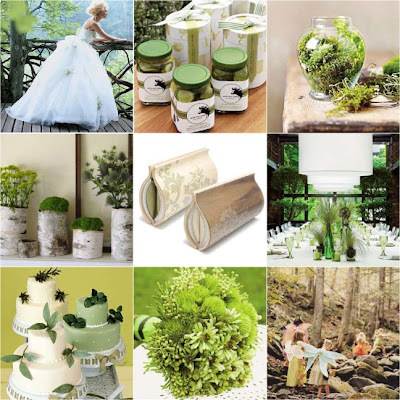 They don't have to be expensive-you can pick up the materials at most craft supply stores, and you can fill it with whatever you want-maybe your wedding is at a vineyard and you want to include the local wine or perhaps you're having a beach wedding and want to include flip flops, suntan lotion and boardwalk candies. A recent bride who was planning her Art Deco Gothic feel wedding in Baltimore decided to include DVD's of her favorite old movies, microwave popcorn and old bay, temporary tattoos, and vintage horror cigarette cases she found on etsy-and although it might seem disjointed, it reflected not only the wedding theme, but also the location and the couples distinct personalities! 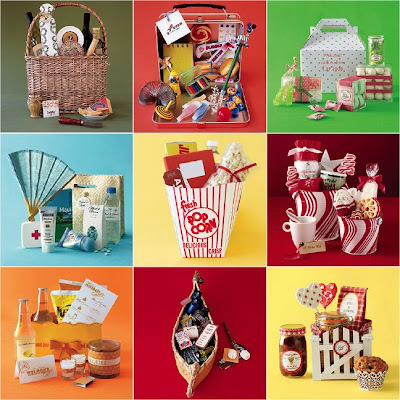 We'd love to hear some of your favorite Welcome Basket Ideas, and if you've got pictures, send them our way! 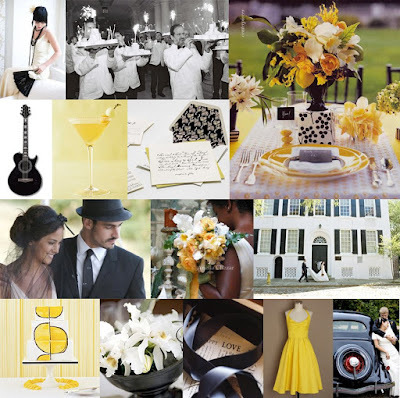 Summer seams like the perfect season for a summery yellow color palette, and we've got some great inspiration boards from our favorite wedding collage expert, Kathryn at Snippet and Ink! 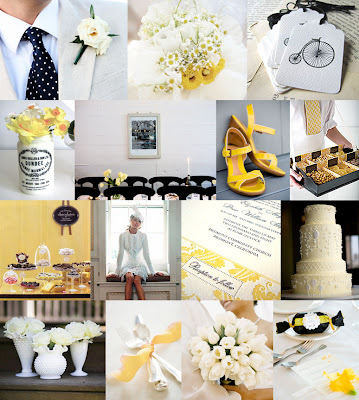 And yellow comes in a variety of flavors-buttery yellow, lemonade, saffron, mustard, as well as some beautiful hues like canary, goldenrod or marigold, sunshine and so on. 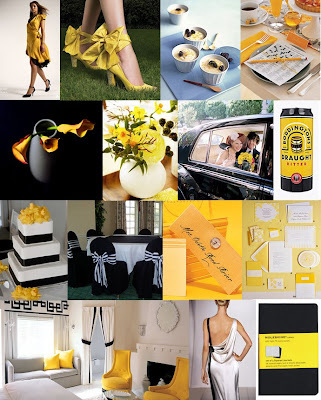 Yellow is just such a happy, fresh color, in any of it's varied incarnations that we think it's a great however you choose to use it! 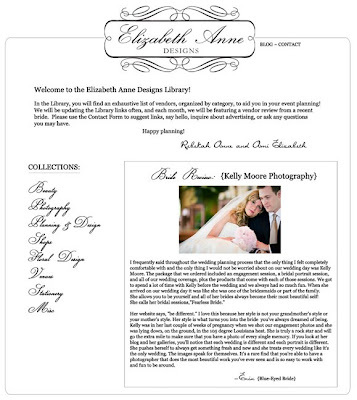 Our friends at Elizabeth Anne Designs have started a really wonderful wedding library full of inspiration, resources and wedding vendors from Photographers and Stationers (yeah, we're there) to Venues, Floral Designers, Event Planners, Makeup Artists, Dress Boutiques and more. It's really wonderful, and it's compiled by the discerning ladies at Elizabeth Anne, who are already notorious for having outstanding style, so you can be sure you're perusing the (butter)cream of the crop! It seems like we're really cranking out designs this summer at Milkmaid Press, and we just completed American Splendor, a summer, preppy design using a Sunshine Saffron Yellow and Licorice Black color palette. 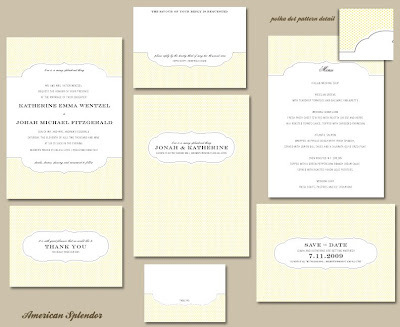 It's a soft and simple design with fun yellow polka dot pattern and sassy black lettering perfect for that preppy bride who wants modern sophistication and country charm. 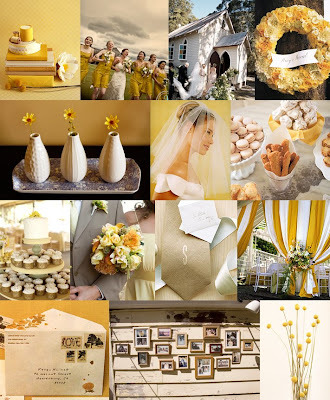 We've also done an Inspiration Board to complement the design using some really great imagery from Style Me Pretty, Martha Stewart, Brides, and The Wedding Guide. 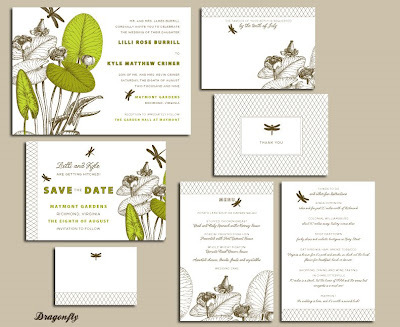 I've been busy at Milkmaid Press, designing Belle Epoque and now Dragonfly, our latest custom suite for a bride (who's name and date have been changed) who said she wanted an eco-friendly garden affair that combined her love of fairies, all things vintage and the outdoors, with her fiance's love of botany and modern, asian-inspired design. 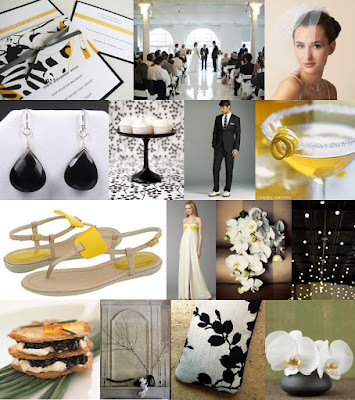 Here is the Inspiration board we did with her, along with Dragonfly the suite it inspired! As stationers and purveyors of all things lovely, both in weddings and in life, I have a great fondness and appreciation for the art of calligraphy. Some of the most amazing calligraphers include Laura Hooper, Stephanie Barba, Nan Deluca, May + Bell, all of whom are artists. What I really like about these ink phenoms is the modernity and charm of much of their work. Sure, they can do the traditional scripts, but what really sets them apart is the unique and quirky look and feel of their hand-drawn illustrations and lettering that really makes them stand out in the crowd. Don't get me wrong, I love gorgeous, uniform calligraphy, but I also admire the unusual and original. Laura Hooper's amazingly talented and such a great person to work with-she has such a flair to her work and custom maps, and her work has been featured in countless publications, such as Inside Weddings and Bride and Bloom. 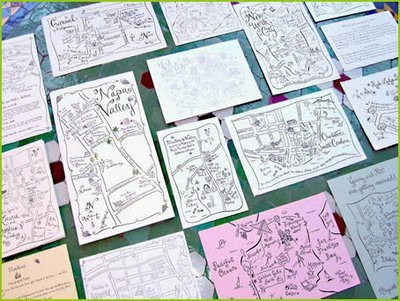 Stephanie Barba might be the grand dame of unconventional calligraphy, and her Couture Maps is the must-have GPS for guests who want a little more whimsy with their directions. If you aren't sure about calligraphy or just don't have it in the budget, you still have options! A great idea for those brides looking to pinch pennies, or make the wedding more intimate is to enlist your friends and family- all of whose penmanship you regard- to address envelopes, place cards, and other paper-goods that need some inking! It's another way to incorporate unconventional calligraphy, save money, and make friends and family feel included in the planning process! 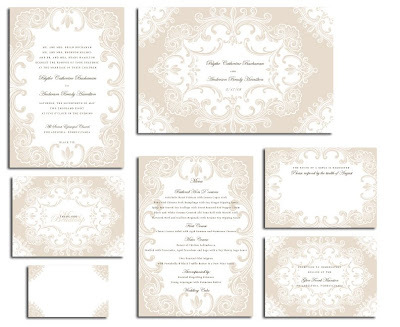 Inspired by Vintage Parisian Glamour, Belle Epoque is the newest addition to the ever growing wedding suites from Milkmaid Press. 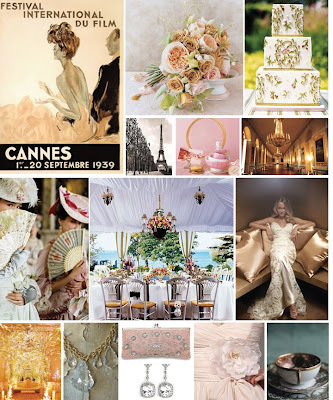 We designed a quick storyboard to go with this new suite, which features whisper pinks, subtle champagnes and shimmery golds along with some imagery that seemed inspired by super sophisticated Parisian glamour and a lovely vintage feel you only get from all things French! The 4th of July has come and gone, and hopefully everyone had a fun, safe time. We enjoyed a relaxing 4th, with household chores and napping, and then followed it up with a crazy 5th party at our very fun friend Brian's (of EMD Entetertainment fame). We took a few shots of the kids at play (and then drank a few shots-hey, it's a holiday and i'm terrible at drinking games!) and by dark, the boys were lighting fireworks that would rival most big city festivities. Luckily, we had a few hours of light to capture just a couple fun pics-a few are already added to Jubilee. 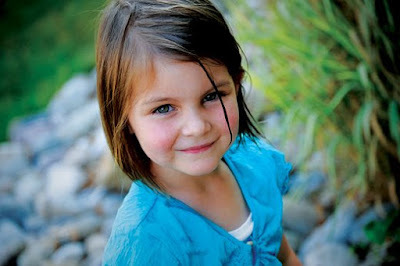 The first shot is of Brian and Jen's gorgeous daughter Emma-fresh from the giant whale pool that kept the kids full of laughs til the fireworks started, and round 2 of cupcakes were introduced to the mix. 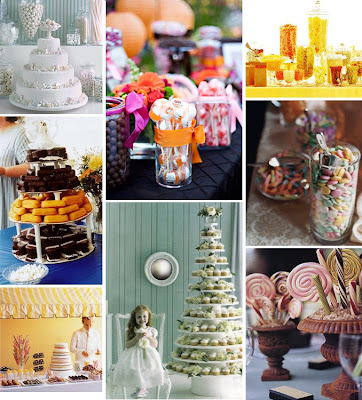 Yet another trend we're loving is the less than formal and always fun dessert buffet or candy bar. Whether you use chocolates, cupcakes, lollipops, chewing gum, caramel corn, old-fashioned candy, or a mix of sweet treats, it's a great way to look luxe on a budget and give everyone a choice about what they get to eat. At my wedding, we did this with chocolates in apothecary jars, which continued our vintage, home-made theme and it was a huge success. We used them as favors, but they can be used however you want, to greet the guests at the reception or even ceremony, as favors or an extra station, or in lieu of a wedding cake all together! The really great thing about a candy buffet, is that it can really pull your wedding theme together without costing you a fortune and is a really great way to express your tastes as a couple. 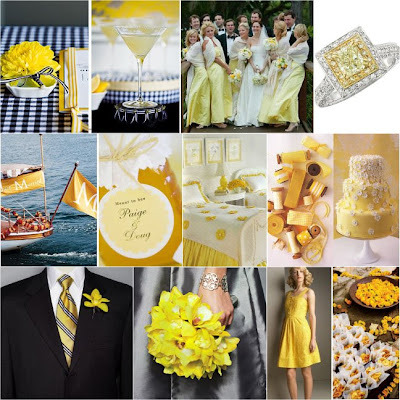 If you are having a seaside wedding, for instance, candies such as salt water taffy, swedish fish and other "nautical" inspired sweets would be great. Think of childhood favorites, like cotton candy, twinkies or mini donuts, there are so many choices and list is as infinite as there are favorites sweets! 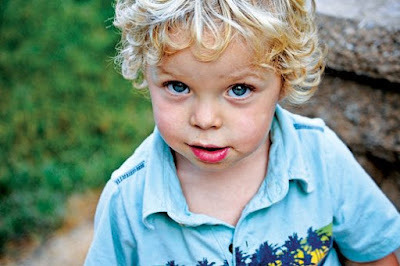 The point is to make it approachable and fun for your guests all while being true to yourself. The sweet buffet is perfect for expressing a more whimsical, childish side even at the most posh soirees, and less formal weddings feel that much more special. Candy and Sweet Treats are such a great way to bring out the kid in all of us, and are sure to make any wedding a trip down memory lane!